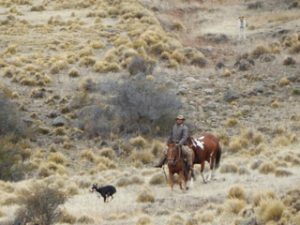 Pineridge Grouse Camp has established some relationships with two of Argentina’s premier wingshooting destinations. 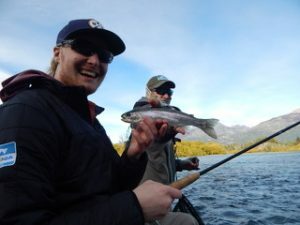 Patagonia River Guides (PRG) offers some of the finest wild quail hunting in South America, providing guests the unique opportunity to combine fly fishing and wing shooting (cast and blast) in the same trip from March 15th to May 1st. There are few places in the world where one can hunt quail offering numbers of wild birds in such a remarkable setting; and no place on earth that one can enjoy fly fishing and quail hunting of this caliber from the same lodge. Six breeding pairs of California quail were released in Valle Traful just over fifty years ago. Temperate weather and few predators have led to an explosion in the population and wild birds can now be found throughout Central Patagonia. 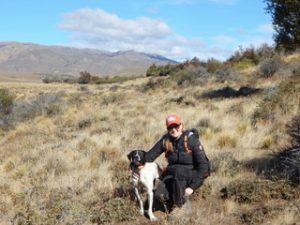 Although birds are abundant, California quail thrive in specific habitat and have a tendency to run, so expert guide knowledge and dog work are critical to find them and pin them down in just the right cover. 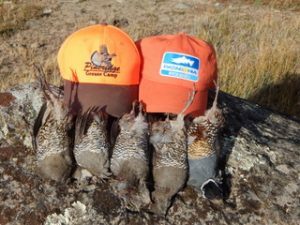 Wild Patagonia quail are as tough, hearty, quick to fly and very challenging for the average hunter due to their speed and random flushing nature. For those who enjoy challenging wild bird hunting, our quail program offers a spectacular venue. 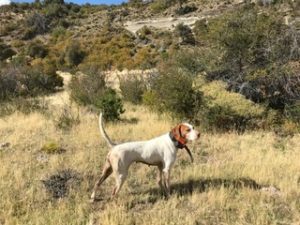 We take our quail hunting just as serious as our fly fishing and have developed an extensive kennel of well-trained pointers and a professional guide staff, who scout extensively, rotate hunting circuits and work tirelessly to ensure quality hunting for each guest. During a typical day, guests will encounter between four and ten coveys containing between twenty and one hundred quail each. A good shot should expect between ten and fifteen quail per day and shoot an average of fifty shells to bag a full limit of fifteen bids. Guests should be physically fit and enjoy easy to moderate walking for two to five miles per day. There is a direct correlation between those who walk well and the number of birds they see as well as between how well they shoot and how many birds are bagged. Our hunting should not be compared to plantation, shooting preserve or vehicle hunting and we have a style and program adapted specifically to raise the maximum number of quail for our guests. PRG offers Beretta Silver Pigeon 20 & 28-gauge over and under shotguns as well as Urika 391 Automatic 20-gauge shotguns for rent along with shells for purchase. Hunters are welcome to travel with their own guns but should check in advance for government requirements. The process is straight forward but requires more time at the airport. Guests should pack field pants or chaps and high quality field boots with some waterproofness. Optionally, guests may choose to pack a game bag or vest, shooting glasses, and gloves. PRG will provide orange hats and vests to each hunter as well as a comprehensive safety lesson prior to shooting. 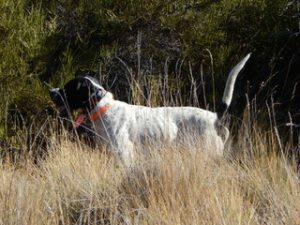 You also could fish a few days on your quail hunt and have a true “cast and blast” program is one of the true treasures of the world. Since 1988 we have been hosting hunters in Argentina and in 1992 we were lucky to find what is probably the premier hunting spot in our country. The area is located at 250 miles northwest from the city of Buenos Aires in the Entre Ríos Province. The terrain consists of rolling hills with extensive pastures and agricultural land next to one of the largest marsh areas in Argentina. There are several roosts in over 2,000 acres of natural brush, with a total population in excess of thirty million eared doves regularly flying to feed in the open fields. I leased over 130,000 acres of land for hunting partridge over Pointer Dogs, and have regularly hunted ducks from blinds over decoys in the marshes, with terrific success every season. Literally, a Bird-shooters paradise! The only thing missing was the right place to stay, where all this hunting would be at walking distance from the front door of the lodge. With a group of American bird hunters as investors we bought a 2,500 acre spread and, in early 1994, we started building the first five star hunting lodge in Argentina. Since then we have been buying land every year. Today the property is 40,000 acres large. The house stands on top of a hill overlooking a marsh surrounded by this beautiful landscape dotted with the legendary Argentina tree: “The Ombú” from where the the lodge takes its name “LOS OMBUES”. The lodge has been open since August 1995 and the shooting is getting better every year. The partridge or perdiz hunting is done as a supplement to duck and dove shooting in May, June, July and August. This fast flushing bird is hunted over fine pointing dogs on rolling hills in the beautiful countryside. The perdiz is similar to the quail, though this bird is larger and is found in singles and sometimes in pairs, instead of covies. There is no season or limit for dove hunting in Argentina. As doves are considered a serious threat for crops, local farmers welcome hunters. Shooting is excellent all year round. Each day affords six to seven hours of good, steady shooting. An average of 3 cases of shells per day per shooter is the daily norm, Even Though shooting is superb all year round, records show mid-September through early April has produced the best shooting. During our spring doves concentrate in huge numbers when farmers begin harvesting the winter wheat, but there is plenty of food for the doves even during our winter months. One of our customers shot 7.800 shells in one day. © Pineridge Grouse Camp 2019. All rights reserved.